FEATURES: Plain black steel construction. Flat head witha philips recess drive insert. 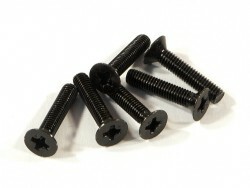 These screws can be used anywhere this size is needed.